RAWALPINDI July 27 (APP): While renewing pledge to defend the territorial integrity and sovereignty of the motherland at all costs, a wreath laying ceremony was held to pay homage to the brave son of soil and first recipient of Nishan-e-Haider – Captain Muhammad Sarwar Shaheed on Wednesday. 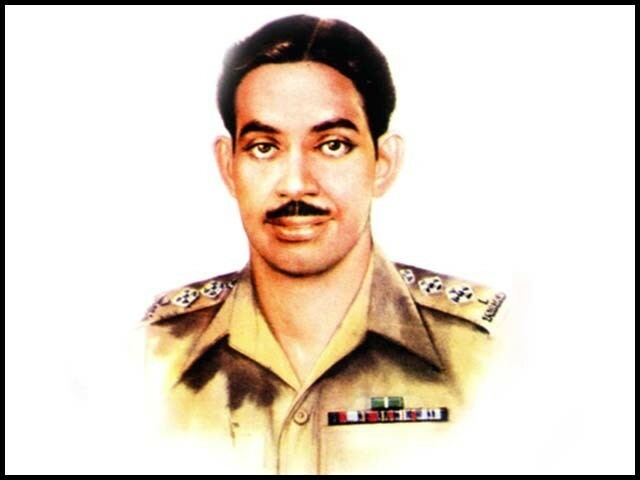 Captain Sarwar Saheed had demonstrated indomitable courage and valour in defence of motherland and had embraced Shahadat at Tilpatra sector (Azad Kashmir) in 1948. In line to commemorate the great scrifice, Brigadier Shahid Nazir and Brigadier Farrukh Waseem Khan, laid wreath and offered Fateha on behalf of Chief of Army StaffGeneral Raheel Sharif, at the grave of the shaheed.